The offices of the Malta Competition and Consumer Affairs Authority. 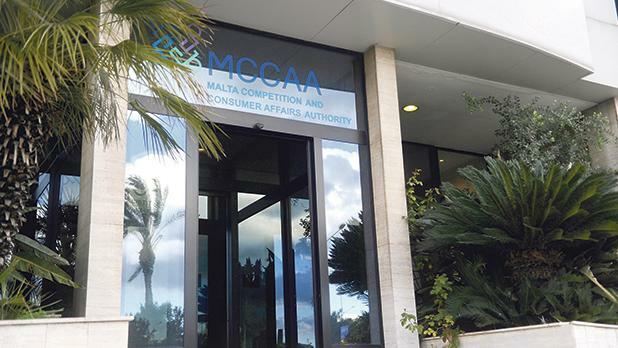 A landmark judgment which left the competition watchdog toothless could have wider repercussions as other regulators might also be stripped of their ability to impose fines if challenged in court, Times of Malta has learnt. The alarm bells were initially sounded by Times of Malta following a tip-off by a competition law expert who preferred to remain anonymous. “One by one, each public authority with the power to impose administrative fines will end up being challenged,” the expert remarked. Kevin Aquilina, Dean of the Faculty of Laws at the University of Malta, shared such concerns. “There is no doubt that the judgment has repercussions on all those administrative bodies in Malta that impose administrative sanctions,” he said. Such entities include the Regulator for Energy and Water Services, the Malta Communications Authority and even the Broadcasting Authority. The issue goes back to a 2016 Court of Appeal judgment, which had found that certain provisions of the Competition Act were unconstitutional. The case had been instituted by the Federation of Estate Agents, which had felt aggrieved by the decision of the Director for Competition to proceed against it over alleged breaches of the law. The federation argued that only a proper court could deliver a decision on the matter given that, in case of ‘guilt’, it could be fined up to €1.25 million. Following the judgment, the Competition Office had announced it would be refraining from imposing any fines until the situation was remedied. Attempts to address the matter through an amendment to the Constitution failed due to lack of cooperation by the Opposition. The government has yet to present amendments to the law in Parliament. A Bill was published for public consultation in August last year but the government was forced to go back to the drawing board following another judgment in November. The judge, hearing a case involving a fuel station owner and an oil company, ruled that the Competition Office could not even carry out its own investigation to determine if a breach has been committed. Asked about the way forward, Prof. Aquilina warned against adopting a piecemeal approach. “A more holistic strategy needs to be adopted, while bearing in mind European Court of Human Rights case law,” he said. Prof. Aquilina said the “easiest solution” would be to make provisions whereby the decisions of such administrative bodies might be appealed before the Administrative Review Tribunal. He also suggested the establishment of a new panel within the tribunal whose remit would be to hear appeals from administrative sanctions imposed by administrative bodies. However, he pointed out, this would only offer a stop-gap solution and the way forward should be the setting up of an Administrative Court to handle such appeals. The competition law expert who had originally flagged the issue to this newspaper said one option would be to have every infringement prosecuted by the public authority concerned before a court. But this could possibly lead to more pressure on the courts and more delays, he acknowledged. Another alternative was to amend article 39(1) of the Constitution (provisions to secure protection of law), which is the basis of the 2016 court judgment. Answering a parliamentary question on the matter recently, the Justice Minister refused to commit himself on when the law amendments would be tabled in the House, only saying this would happen “sometime this year”.